Help relieve chronic neck or head pain with a heat pack or cold compress. 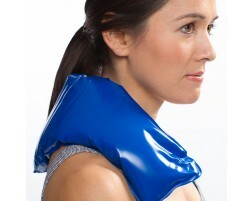 Our reusuable ice packs and heat wraps fit well and conform to the neck and head area for relief. If you have a suffered a neck injury, wear a neck brace to immobilize your neck while you wait to see a physician. Not sure when to use cold therapy or hot therapy for your neck? Check out this article on ice vs. heat and when to use each.